Harvesting Happiness is a unique company devoted to the work of positive psychology, happiness and wellbeing, based on the building blocks of free will, compassion, empathy, pro-activity, service and perspective. 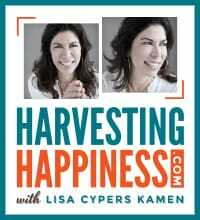 Harvesting Happiness is a highly-acclaimed company and a rising player in the well-being industry. Featured by Yahoo News, Google News, AOL News and Market Watch, the company’s unique philosophy, approach, results and testimonials have led to key relationships with companies and organizations such as the New York City Department of Parks and Recreation, Glendale Community College, University of Southern California, Motherhood, Inc. and Equinox Fitness Clubs. The Harvesting Happiness Company takes pride in the positive psychology work it offers the public and private sectors and offers complimentary introductory sessions for interested parties. 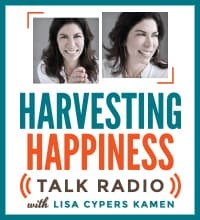 Offering a variety of programs and services to individuals, groups, corporations and organizations, both nationally and internationally, the Harvesting Happiness Company gives full spectrum access to life-changing tools for cultivating tangible and sustained personal happiness. 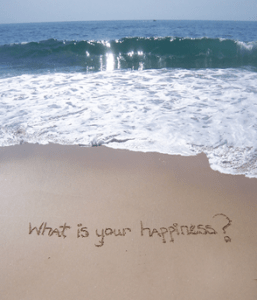 Find out more about Harvesting Happiness’ exciting programs by clicking here. Find out more about 501 (c)(3) nonprofit organization Harvesting Happiness for Heroes (HH4H) here.